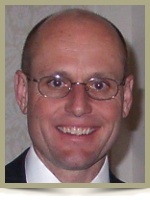 Douglas Craig Zimmerman, age 52, Woodstock Valley, CT. On June 8, 2010, Doug collapsed while on a lunchtime run. Medics were unable to revive him. Doug was born happy in Beverly, MA on July 26, 1957. He graduated from Penney High School in E. Hartford CT in 1975 and from Eastern CT State University in 1980 with a degree in Environmental Earth Science. His career in public service spanned 27 years with the CT Dept. of Environmental Protection. Doug started at DEP as an intern, then became a hazardous waste inspector, and ultimately his hard work and technical skills were rewarded by promotion to Supervising Environmental Analyst. In college, he was co-President of the Outing Club, and later he volunteered for 8 years with the Woodstock Historical Society as Vice President and Program Chair. Doug was an avid mountaineer, rock and ice climber. From the time he was a young boy, he loved the outdoors, and hiked the trails in CT, NH, and NY with his father, brother, and friends. He went on to become a technical mountain climber. With his climbing buddies, he traveled to various places in the U.S, Canada, Alaska, and Peru. Doug and his friends Bob Plucenik and Doug Bonoff were first ever to conquer South Kennedy in the Yukon Territory in Canada. Bob commented that, of all the men he climbed with, Doug was the one he trusted most to be there when needed. Doug was also a reckless softball player, giving all he could to help his team. He dislocated his shoulder three times flinging himself after balls. He could fix just about anything. No task was too big for him to tackle. He was always there for his wife, family, friends, co-workers and neighbors, ready to lend a helping hand. He had a great sense of humor and lived life with gusto. Doug is survived by his wife Bet, his parents Larry Edwin and Joan Lorraine (Fraser) Zimmerman of Amston CT, sister Julie Miller and brother-in-law Charles of Leander TX, brother Glen Zimmerman and sister-in-law Therese of Hooksett NH, his mother-in-law Kay, brother-in-law John and sister-in-law Tina Gallagher, and countless other wonderful friends, colleagues and family members. Relatives and Friends are invited to visit with Doug’s Family on Friday, June 11, 2010 from 5:00-8:00 p.m. in the Gilman Funeral Home, 104 Church Street, Putnam, CT. A memorial service to celebrate Doug’s life will be held at The First Congregational (The Hill) Church on 543 Route 169, Woodstock CT on Saturday, June 12, 2010 at 2:00 p.m., followed by a reception at the church, to which all are welcome. In lieu of flowers, Doug’s life can be honored with a memorial donation to the Founders of Environmental Earth Science Fund c/o ECSU Foundation, 83 Windham St., Willimantic CT 06226; or the American Alpine Club, 710 10th St Suite 100, Golden, CO 80401; or the Woodstock Historical Society, PO Box 65, Woodstock CT 06281. Doug’s last act was giving the gift of sight and healing through tissue donation. Doug was supervising a local remediation problem in Norwalk and was a real gentleman to deal with. He was very sensitive to our commission’s concerns about pollution getting intothe harbor from the site. He will be missed. My deepest sympathy for the loss of a truly devoted husband, son, brother, and friend. I have fond memories of tossing the football around with Doug and Glenn before thanskgiving dinner for many years on Mallard Drive, learning how to rock climb on Ragged Mountain, and multiple visits and calls to Doug at CTDEP working on environmental projects together. Doug was always there with a smile and a “How are you doing?” He always expressed interest in my environmental career and family life. He will be remembered as a devoted public servant, consummate environmental professional, and a friend. I will always remember Doug and the great times we had growing up on Mallard Drive. You have my deepest condolences and sympathy. I will keep you all in my thoughts and prayers as you deal with this tragic loss. Over the years working with Doug, I grew to have the utmost respect for him. He was knowledgeable, fair, and very conscientious, all with that ready smile to get what needed to be accomplished… done. He was an exemplary public servant, and I know he will be sorely missed by all who were blessed to know him. My deepest condolences to his family in this time of terrible loss. Doug you will be missed by everyone who had the priveledge to have known you. I am sitting here in disbelief that you of all people have gone before us, you with such a zest for life. However I take comfort in knowing that you lived your life to it’s fullest every day and experienced so many things and touched so many people. You will be missed my friend. Mr and Mrs Z, Julie, Glen and Bet, I am lost for words, I guess all I can say is I am so sorry. Shocked and sadden beyond words., our hearts go out to you. You have always had a special place in my heart. How much fun and laughter we have had over the years. I am so sorry to hear about my dear cousin Doug. He could always find humor in everything. Just wanted to let you know that you are in my prayers. A fine man who will be deeply missed. It has been a pleasure and privelege to know him. It has been the privelege of all of us at the Woodstock Historical Society to work with Doug. His enthusiasm, sense of humor, dedication, and hard work will be remembered. Doug organized wonderful public programs each year that enlightened and delighted all who attended. Thank you, Doug. You will be missed. We were so saddened to learn of Doug’s passing. We will always remember his generous contributions of time, talent and energy to our community as his spirit continues to live on in our midst. We extend our deepest condolences for your loss. Doug was truly a “one of a guy” person. You could tell that he was a truly caring person who would do anything for a friend or family member. He was always upbeat, supportive & had a smile on his face. I heard he lived life the same way as he played softball… willing to run through a chain linked fence in order to help the team. He was truly a gentleman. I always enjoyed speaking to him whether it was at a softball game or in the grocery store. I will miss him. Life has blessed you in many ways. You shall be missed by all. As an environmetntal contractor, I have worked with the CT-DEP for 28 years; for the past 10 years…Doug has been my ‘go to’ guy. Always pleasant, always reasonable and always willing to help in any way possible; but it was the joy in his voice and his servants heart that made him such a pleasure to ‘do business’ with Doug. Speaking with him always…ALWAYS!…left me feeling good about myself and good about (gulp!) ‘State government’; if Doug could make government a pleasure to work with, I can only imagine the blessings that his personal friends and family had from knowing him. I will miss his councel, his advice, his good nature and most of all, his shared heart and love of life. May God bless and strengthen his family and friends through this difficult time. We are sorry to hear of Doug’s passing. I knew Doug for years at the DEP and enjoyed many discussions of our mutual interest in hiking and backpacking and all things outdoors. Doug was a real gentleman and will be missed. Condolances to the family. I cannot tell you how saddened I am by Doug’s death. He was at DEP and I’m an environmental attorney, yet I feel like I worked WITH Doug. He brought a sense of professionalism, practicality, and humor to his job that made it a pleasure to work with him. I think of him as a friend, and will miss him tremendously. It has always been a great pleasure to be in Doug’s company. I miss him dearly. My best wishes go to Doug’s extended family. Doug was the life of the neighborhood. I have such fun memories of the many neighborhood parties and just seeing him out working on his home, or taking care of the animals …what a terrible loss. My sympathies to all of Doug’s loved ones. I am terribly saddened to hear of Doug’s passing. He always had a smile and an outgoing friendly nature, going back to the days on Washington Street. And in more recent years, Doug was the best at cordially meeting with consultants like myself, answering questions and getting the job done with helpful, practical advice. He will be sorely missed by all who worked with him and knew him as a colleague and a friend. My thoughts and condolences are with you. I met Doug and Bet at my cousin David’s on several occasions. It was always at a party, but wherever Doug was, it was a party. We just can’t believe this tragic news about Doug. I know what a wonderful life you’ve had together and I can’t tell you how sad all of us (esp. Kim, Barbara, Dana and Hale) are to think of you without him. We will see you on Sat. I was very saddened to learn of Doug’s passing. We were about to embark on a great adventure of discovery together on a research project in Stamford. I will miss his wisdom, encouragement and support. God bless you all. To Bet and to all of Doug’s family, I offer my deepest sympathies on your loss. There aren’t many people in this world that are as exemplary in so many ways as Doug was, and to lose such a shining example of humanity so suddenly must be a heavy burden to bear. I, too, feel your loss, and think warmly of all the years Doug spent with me and the other DEP softball team members, both on the field and having pizza and refreshing beverages afterwards. Doug will be sorely missed here at DEP. Our thoughts and prayers are with all of you. When we all sat at the table at the ECSU dinner in April, it was fun to talk with Doug about our college days. I knew him for close to 35 years, and the energetic, smart, and motivated undergrad I remember from college translated into the same qualities as a colleague at DEP and then as a regulator I worked with. Doug liked to solve problems, and that quality defined all the good he did. He made a difference in our world – that is what he wanted most, I think. How nice of you to honor him through the ECSU Earth Science Fund. He would like that. My heartfelt condolences, Bet. Working as a consultant in the environmental field for the past 20 years allowed me to work with Doug on several projects. He was always a pleasure to work with, was fair, courteous, and respectful. Passing him in the halls at the DEP I always remember a smile on his face. I was shocked and saddened to hear of his passing. He will be greatly missed. My condolences to his family during this difficult time. Bet my heart goes out to you. I’m so sorry to hear about Doug. I’ll keep you in my prayers. This is the Doug we all knew and loved, and typifies his joyful, fun-loving, and light-hearted spirit. And it’s a reminder of why we’re all going to miss him so damn much. Doug’s passing was a shock to all of us. The love and friendship the two of you shared is an example to all of us. Our prayers are with you. Bet, Donna and I are deeply saddened and shocked by the news and I hope you can find some comfort in the best wishes of Doug and your many friends. I hope you can find some peace during a difficult time. I was shocked and very sad to hear about Doug. You and Doug are two of the nicest people I have ever known–and two of the most fun to be around. I always appreciated Doug’s sense of humor and practical nature when I worked with him at DEP. I already missed Doug since I left DEP some time ago, but I will miss him even more now. At these times, words cannot properly express the sense of loss nor the overwhelming love and support of your many friends in the Northwest. Please know that you are in our thoughts and prayers at this most difficult of time. We are both so saddened to hear of Doug’s passing. He always had a such terrific smile, he worked so diligently on producing such fine programs for the Historical Society, we will miss him terribly. My heart aches for you. Please know that you are deeply loved by many. I pray for God’s special care of Doug and for strength and solace for you. You have my heartfelt condolences. I am sorry I never knew Doug but knowing you and reading all these comments I can understand somewhat the magnitude of your loss. Our prayers are with you. You give so much to the rest of us with your dedication, meticulous detail and voluminous information. We are saddened for your loss. I am so sorry to hear of the passing of Doug. It sounds like he is a great guy! Sometimes life is very difficult and hard to understand…this is one of those times. Know that you have a friend that has you in his prayers! The message of Doug’s sudden passing deeply saddened me. I know you have found a sign that his spirit continues in your heart. You and Doug have touched many people. My life has changed from your dedication and devotion. I can see that Doug also made the world a better place in the short time he had to share. We learn from those we love. Now we can reflect on all we have learned,.. never to be forgotten and to be shared with others. I was very sad to hear of Doug’s passing and for your loss. Over the years whenever I needed help with an environmental issue, or trying to find the right person to call, I always called Doug first, and he was always there for you, always with a smile, always his pleasant manner and always a helping hand. That was Doug and his mark on this world will be felt for a long time – he will truly be missed. I am sincerely sorry for your loss! Doug had a wonderful way of bringing out the best in all of us! I hope we all follow his example and live life to the fullest like he did! With deepest sympathy! I was deeply saddened to hear of Doug’s untimely passing. Doug was always so great to deal with it at the CTDEP and his warm manner was always noticed. I recently had the opportunity to take a long walk with Doug in February on Long Beach West in Stratford during the start of a long planned remediation project. I remember that during the long walk that we both expressed to each other how lucky we felt that we had jobs that gave us the opportunity to be outside and fulfill our passion for environment. Doug was truly a great person and I feel blessed that I was able to share that walk with him. My deepest condolences for your loss. We were so shocked and sadden to hear about Doug. Try to stay strong and remember the great times. Kind thoughts and prayers are with you. Bet. I was so very sorry to hear the news about your husband, you have our deepest sympathy and our thoughts and prayers are with you always. My sincerest condolences Bet, for your loss. I know that Doug must have been the most wonderful man or he wouldn’t have chosen you to share his life with. He has shared you with the rest of the world in such a gracious manner that it’s not hard to know he must have been a generous, caring and loving husband. I’m so sorry for your loss………you are in my thoughts and prayers. Bet, There are no words I can think of to try to tell you how much grief I feel for you and your family and friends. Although, I did not have the pleasure of meeting Doug in person, I feel as though I know him through your wonderful ability to capture your lives in word and pictures. You two had such a wonderful relationship! Please let me know if there is anything I can do for you. Bet – I just heard of your lose. My deepest sympathy. Although I did not know Doug, your annual letters made me feel as if I did. We are so saddened by your sudden loss. It sounds like Doug was an amazing human being. The relationship the two of you had is a fine example for all of us. Please know that our thoughts and prayers are with you and may fond memories give you some comfort and peace. Our hearts and prayers are with you. There are no words sufficient to ease your loss. Only the blessing of having Doug touch your lives, and the Grace of our Lord will help you continue on. May you find peace and comfort in all that Doug brought into your lives; and strength through our Lord. Doug is there with you in the flutter of each bluebird’s wing and the touch of a breeze upon your face. May God be with you, and grant you peace. Dear Bet – He is with his Bluebirds now. Please let me know if there is anything I can do to help. God bless you. Bob Walshaw. I am so sorry for your loss. Although I never had the privilege of meeting Doug, I enjoyed hearing your stories and the evening phone call updates. It was obvious you adored him and he adored you. My heart aches for you during this sad time. We were so disappointed when we heard the news. We didn’t have the pleasure of knowing Doug well, but we will miss his environmental advise and his memorable contributions to our annual Christmas card. What a life! We are so sorry for your loss, and our thoughts and prayers are with you and your family always. We are very sorry to hear this sad news. Doug was a good neighbor. My Dear Friend Bet — I am so sorry and sick to hear of your loss, our loss, the loss to so many. I had no idea until moments ago. I am just shocked and speechless. Doug was one of the dearest people I’ve ever known and in your last correspondence to me you expressed how happy the two of you were and how much fun you had together, how much you loved each other how blessed you were to have him in your life. You were fortunate and blessed to have one and other. My thoughts and prayers are with you. Please let me know what I can do to comfort you. I am so very sad and sorry . God’s Blessings. If you have the patience and the courage to read all these condolences, I would like to offer mine. You have been such a big help to me with bluebird, wounded bird, etc questions. I have read all that you wrote about Doug and viewed all the pictures, now I feel that I missed out on knowing a very sweet, caring, humerous and unique human being. Congratulations on your good fortune of loving him and having his love in return. Surely his happiness is portrayed in the “goofy” pics that your sister posted. I will keep you in my caring thoughts. Bev J.
I’ve been working on a website as a tribute to Doug, who touched so many lives. I’m still in the process of adding things, but one video I found (at the top of the home page) really cheered me up. I hope it will bring you cheer too. Thinking of you Bev! Doug will always be remembered! I’m lost for words but would like to express how sad I am right now and how I know you are hurting. Sometimes I wonder what the higher being must be thinking…having us all go through loss is cruel and unjust. Some believe it is the natural cycle of life…which though it is…..it still doesn’t bring the comfort and joy that the person brought…. My thoughts are with you Bet. My empathy is profound. I was just thinking “Yesterday” what I would ldo if I lost the only person and family I have – my husband… So this news comes to me in a time that ….I can see how my fear can so easily come to reality. Oh Dr. Z…. Just read in the ECSU magazine…the perpetual smile and happy go lucky attitude…the softball games…burnap hall…oh Dr. Z….you will be missed!!! Bet – I am so sad to learn of Doug’s passing. His spirit for life – zeal for life – was unmatched. My prayers are with you – your husband was “one in a million”. John Wilson – ECSU 80 – one of Doug’s roomates.